The Wisconsin International Chess Festival is a 9 round Swiss event with GM and IM norm possibilities. 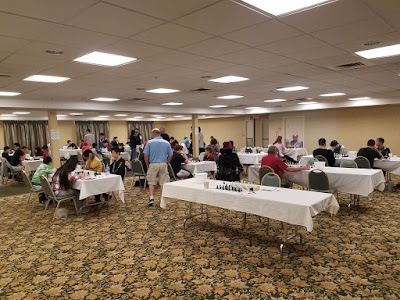 It is hosted in the heart of Wisconsin’s Howard Johnson Plaza Hotel in Madison, Wisconsin (3841 East Washington Avenue, 608-244-2481) FREE breakfast, FREE internet, FREE parking, $79 single or double, reserve by June 1st and mention CHESS. Madison, the Wisconsin state capital, has multiple attractions within walking or short driving distance. Guaranteed: $3,000-$2,000-$1,000-$500-$500, top u2450 $500, top u2250 $500 ("Under" prizes based on FIDE rating). Minimum Prizes (must complete all 9 rounds): $500 for foreign GMs (first 5), $100 for all foreign FIDE rated players. Increment: 30 sec/move increment starting at move 1.